Helanius J. Wilkins, a Louisiana native, is an award-winning choreographer, performance artist, and educator based in Washington, D.C. He is the Founder & Artistic Director of EDGEWORKS Dance Theater, an all-male company of predominantly African-American men. 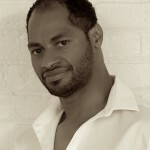 His honors include the 2008 Pola Nirenska Award for Contemporary Achievement in Dance, and the 2002 and 2006 Kennedy Center Local Dance Commissioning Project Award. Wilkins earned undergraduate and graduate degrees in Dance from SUNY Brockport and George Washington University. In addition to performing the works of nationally recognized choreographers including Robert Moses, Earl Mosley, Joy Kellman, Troy Powell, Gesel Mason, and Kevin Wynn, he performed with Present Tense Dance Company (Upstate NY) as well as with Maida Withers’ Dance Construction Company (DC), and as a guest with the Liz Lerman Dance Exchange (MD). He has equally enjoyed creating, presenting, and receiving commissions for choreography throughout the United States and abroad. To date, he has choreographed and directed over 60 works, which includes two wildly and critically-acclaimed musical productions for Washington, DC’s Studio Theater – “Passing Strange” (2010) and “POP!” (2011). Foundations and organizations including New England Foundation for the Arts (National Dance Project), National Performance Network (NPN), D.C. Commission on the Arts and Humanities, and the National Endowment for the Arts have supported his work. Wilkins teaches professional and pre-professional dancers as well as students of various ages and levels of skill.